Here’s how you can check MacBook or MacBook Pro battery time remaining stats on macOS 10.12.2 and later the easy way. 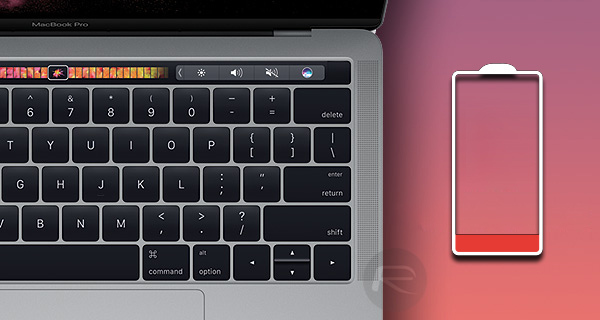 Apple’s recent decision to remove the estimated time remaining counter from its notebook line of computers as part of macOS 10.12.2 has caused quite the stir among those who use those machines, and whilst Apple has attempted to justify the decision by saying it simply wasn’t accurate given the changing ways in which computers are used, that just won’t wash with some. As is to be expected, solutions for replacing the now defunct feature are being investigated across the Internet, but many are forgetting that macOS still has one feature built right in that can tell us how long, in hours and minutes, a battery should be expected to last. Perhaps Apple forgot to remote it? Those who are fans of third-party apps such as iStat Mini are understandably quick to point out that the popular system monitoring tool includes its own battery monitoring options and yes, using this tool will bring the counter back to your machine. But that involves installing a new software – and you really should, we couldn’t live without iStat Mini – and not everyone will want to do that. But what about those who don’t? The answer is simple, and free. 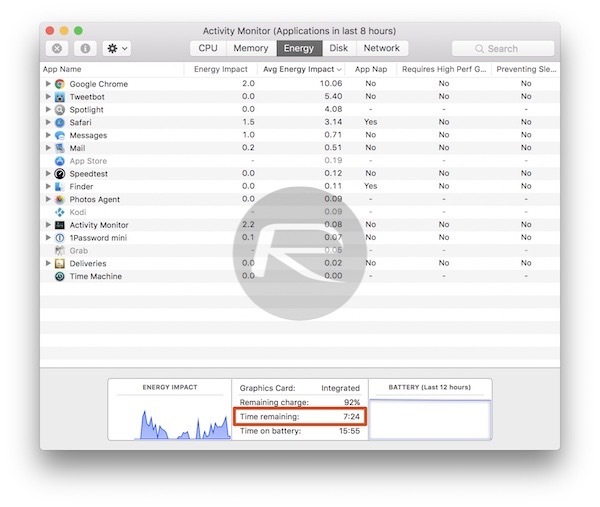 Fire up Activity Monitor on your Mac. It can be found in the Utilities folder inside Applications. With the app launched, select the Energy tab from the top of the window as shown in the screenshot below. Next, wait for the panel at the bottom of the window to update with a ‘Time remaining’ estimate. This should be just as accurate, or inaccurate as the readout that Apple saw fit to remove from macOS menu bar, and it’s always there, waiting to be checked. Between this and options such as iStat Mini, replacing Apple’s own battery life estimate is far from impossible, if still a little galling. From where do you think iStat Mini app takes its data ? Are Mac users so stupid that the have to be told how much runtime is available? They can’t just show how much battery charge is left, like every other electronic device?